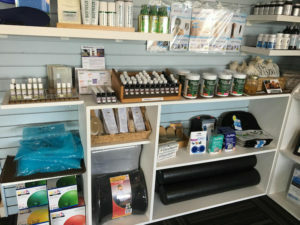 Our Wellness Store is packed full of great products that will serve your wellness needs. Located at the front of our office, near the checkin desk, there is plenty for you to look at. Josiah is the ‘do-anything for the team’ assistant at Bloomington Wellness Center. He is on a journey to become a doctor of chiropractic himself someday. He has a bachelor in Psychology and Biology from St Cloud State. Josiah grew up in Monticello, MN where he enjoyed many hobbies. He loves show jumping his horse, playing his guitars, and writing new standup material of the local comedy club. He got into the chiropractic because he heard it is a suitable place to “crack” people up! He is the Andy Richter to the doctor’s Conan O’Brien. He has a passion for making others smile when they visit the office. If you come into our office, you might notice that he is setting clothing trends for Dr. Cory. They often match their clothes without even trying. So often, that Josiah mostly wears scrubs to work now (It’s just comfier that way). Josiah is a newly wedded husband to his wonderful wife, who enjoys and puts up with his creative sense of humor. Josiah loves to travel, and has ambitions to someday move to Costa Rica. A place where he’s not the only person sweating down his forehead! Josiah started young in the health field working as an Occupational Therapist Assistant at a hippotherapy riding center for over 10 years. He also took on the role of being a personal care attendant for a young special needs boy for 9 years. Caring for others has always been in his heart, and he is determined to do just that. Ease your aches and pains without hiring a professional masseuse with the TheraCane massager. 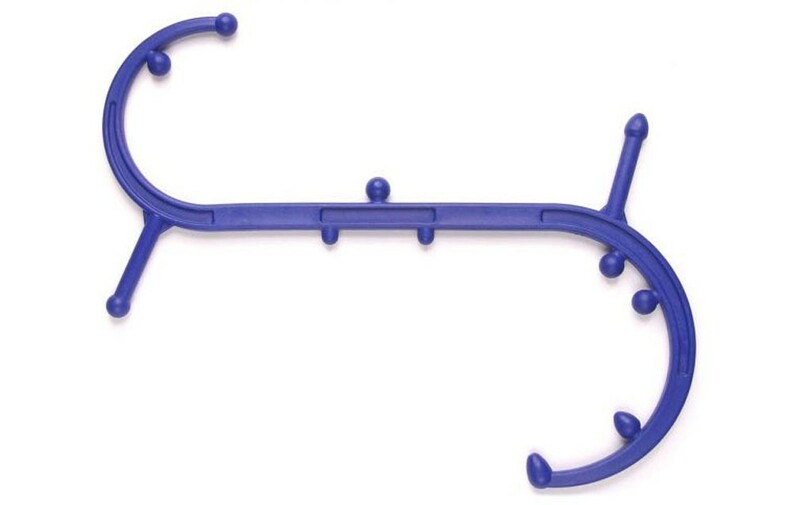 The simple yet effective self-massager makes it easy to apply pain-relieving deep compression directly to hard, knotted trigger points anywhere they occur, breaking up tension even in the hardest-to-reach muscle areas. The TheraCane works by adding pressure to the muscles, which helps maximize the flow of oxygenated blood. This pressure aids in restoring muscle function by breaking up adhesions in muscle fibers and tensions, thus making the muscle work more efficiently. It’s the perfect tonic for a recurring injury, a long day on the job, or an active afternoon in the garden. MADE IN THE USA – Every Body Back Buddy has been 100 percent sourced and made in the USA since 1995. Each is made in numbered batch lots from high quality, high density polyethylene; which has no BPA, PBDE, TBBPA materials and subject to US Health and Safety Standards. Not only does this give you an earth conscious, hypoallergenic product you can safely use in the shower, it also gives you a tool we can guarantee for life. ORIGINAL STURDY DESIGN – The Body Back Buddy has remained virtually unchanged for more than a decade due to its impressive landmark design. With the introduction of the I-Beam influenced rectangular cross sections, we made a product that is at least 3x stronger than similar handheld cylinder based designs and has the perfect weight of 1.25 lbs. to accommodate anyone’s needs, young and old. HIGHLY RECOMMENDED BY EXPERTS – The Body Back Buddy’s guarantee comes backed by medical professionals,and years of feedback from chiropractors, massage therapists and physical therapists. Their input has helped us create the ideal tool for the complete self-massage experience. There is no one tool better suited for Trigger Point Therapy, Myofascial Release (MRF) and Deep Tissue Massage Therapy than the Body Back Buddy. BODY BACK BUDDY GUARANTEE – Unlike the tidal wave of cheap knock offs populating the market today, the Body Back Buddy has been proudly designed, tested and created in Portland Oregon since 1995. We offer a no hassle, no risk, 100% lifetime guarantee. No hidden qualifications, no fine print, no weasel words. If you are not completely satisfied with your purchase, simply return the item within 30 days and have your money refunded.